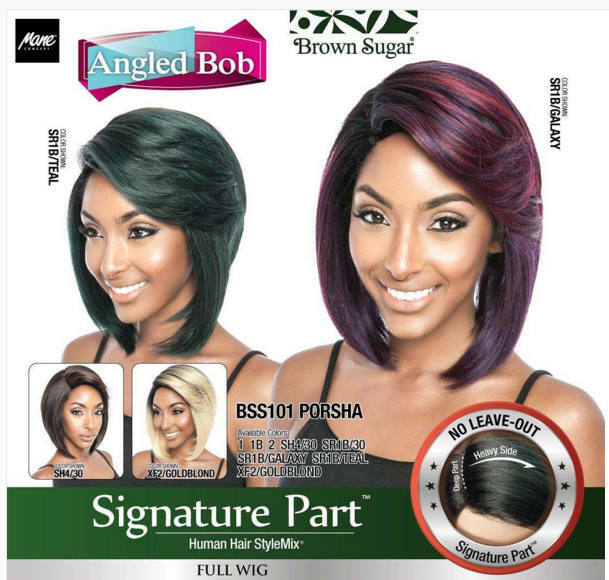 Porsha’s tempting Signature Part™ Full wig bob style, has all the right angles including a tapered neck blending asymmetrically layered with feathered swept side bang. Porsha is not only realistic with a human texture, but easier to maintain Get styles that last and colors that won't fade away. Be Brown Sugar glamorous and feel the style in you!